Iniesta’s exit means he will be ending a 22-year association with the club. Speaking at the press conference he said: “This is my last season here (On Apr 27, 2018). 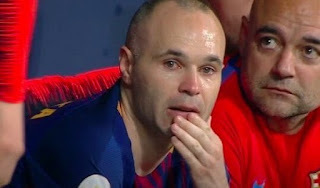 Struggling to hold back the tears, Iniesta said: “I understand that in the near future I will not be able to give the best of myself in all senses, both physically and mentally. 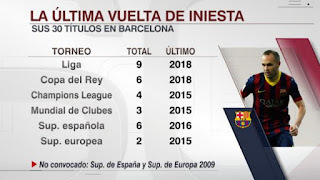 "The Spanish midfielder, who has made 639 appearances for Barça, ranks second on the all-time games played list at the Club. He has scored 55 goals for the first team, for which he debuted on October 29th, 2002. 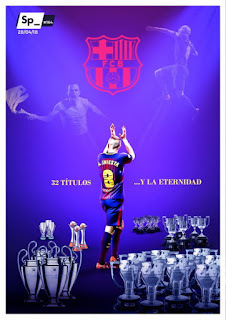 "Since 2015 Iniesta has been the team's first captain, and is one of the Club's most distinguished symbols. The 33-year-old midfielder joined the Club in September 1996, at the age of 12. 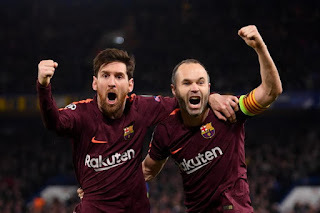 Iniesta and Leo Messi share the record for the most titles in Barça history, with 32." 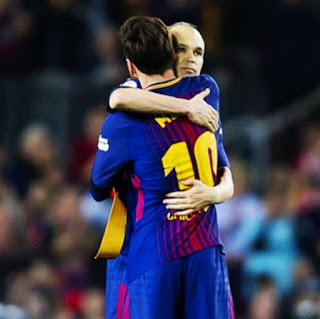 He wrote: “Andres, thank you for all these years of football. “It has been a privilege to enjoy this sport by your side and spend so many unforgettable moments together. I wish you all the best in this new stage in sports and in your life. Barcelona without Iniesta is going to take some getting used to and Messi is certainly going to miss him next season. 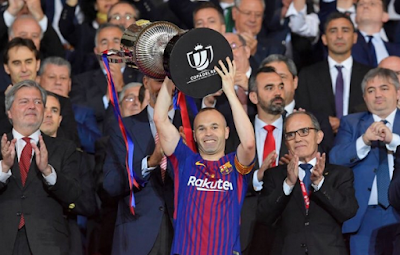 Iniesta decided to leave Barcelona after 22 seasons with the club, winning an extraordinary nine La Liga titles and lifting the UEFA Champions League trophy four times. two European Championships, He also won the 2010 World Cup with Spain in 2010. 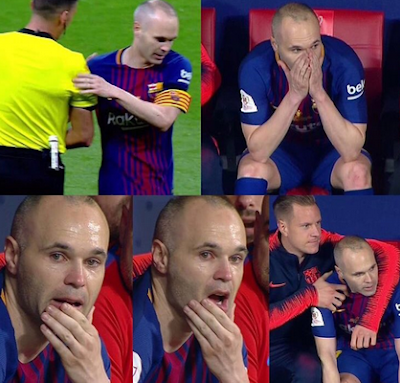 Like so many others, I'm nostalgically sad that we are reaching the end of Andres Iniesta's time in La Liga. 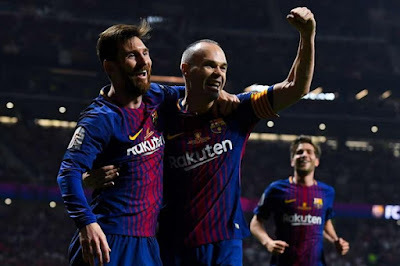 "Don Andres" has a maximum of two more Blaugrana performances to come, including what is sure to be an emotional send-off against Real Sociedad at the Camp Nou on May 20. The scale and sincerity of the eulogies toward him have been impressive, but there are several things that because of his elegant brilliance, because of his achievements and because his name is stamped upon the greatest moment in Spanish football history have been ignored or at least set aside. Andrés Iniesta has been presented in Japan as a new player of Vissel Kobe. 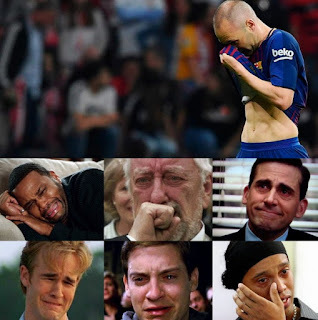 The manchego player, 34 years old, has left Barcelona after decades of success both in the affiliated teams and in the first team, with which he has won everything. 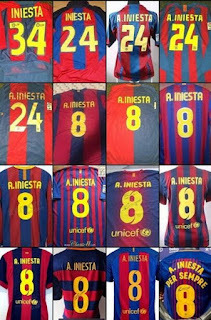 Finally Iniesta has shown the shirt he will wear in this new stage, with the number 8, the same he had in his time as a Barça player. Miss them cool veteran signings, last one was van bommel or yepes.